For Very Cheap Car Insurance in every state, or U.S. economic data, or American culture studies, or reviews of top U.S. colleges and more, visit any of the links shown below. This page provides pertinent info about car insurance in the state of North Dakota. Learn about average rates, minimum liabilities, car insurance discounts, and more. Scroll down for some useful tips on lowering the annual premiums on your North Dakota car insurance policy, although these tips will generally apply to drivers in any state. The Average Annual Premium for North Dakota car insurance was $1,086 this year, a far cry below the overall national average car insurance premium of $1,365 over the same time period. The low average insurance rate in North Dakota may be a function of the state's very sparse population, combined with a relatively low crime rate, and a relatively low rate of uninsured drivers. 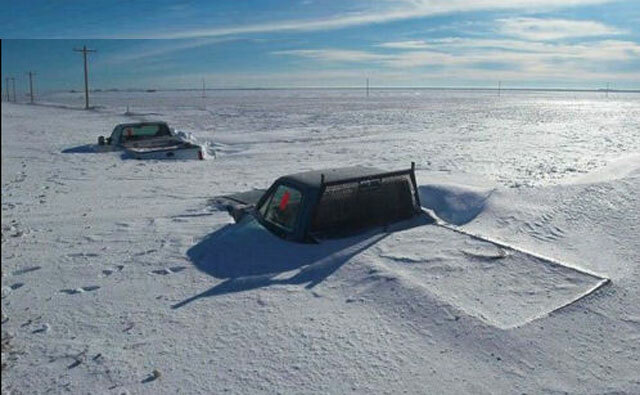 For North Dakota auto owners, the minimum liability coverage required per vehicle is 20/50/25. So the maximum payout for the state minimum car insurance in North Dakota is $95,000 per accident. However, this amount may not be enough to cover the costs of a real accident, and can lead to huge out-of-pocket expenses. That's why a lot of North Dakota drivers buy more than the minimum coverage required by law. Drivers in North Dakota ticketed for operating uninsured vehicles face a minimum fine of $150, and a suspended registration until proof of insurance is provided. Repeat offenses that occur less than 18 months apart face fines of at least $300. The rate of uninsured drivers in the state of North Dakota is estimated at about 6.8%, well under the national average of about 13%. Car insurance carriers have many discount programs to encourage or promote safe, smart driving habits. North Dakota drivers often reduce auto insurance premiums by qualifying for every possible discount offered by local carriers. You can also save money on car insurance by paying your annual premium all at once (for a Paid In Full discount), or increasing your deductible amount (for a Deductible discount), or improving your credit rating (for a Credit discount), or by driving vehicles with permanently installed safety features (for a Safe Driver discount), just for instance. Another great way to get very cheap car insurance is to drive a very cheap car. Still, some North Dakota drivers opt for locally owned carriers such as Western National. Either way, North Dakota supports numerous auto insurance companies, each of them offering discount programs and competitive rates. Obtain a few free quotes online. Then call a few agents for more free quotes, and inquire about the discounts. Then simply compare quotes, and choose the most cost-effective premium package. Following these simple steps can save you hundreds of dollars a year on car insurance.